NEW DELHI, India, (BulgarianMilitary.com) – India’s Ministry of Defence reported on Wednesday (30th January) that it has signed a deal with the Indian government owned ship building company Goa Shipyard Limited to build two additional guided missile frigates of Project 11356 class, with some of the material for the construction to come from Russia, learned BulgarianMilitary.com. In November 2018, the final contract for the building of the two Admiral Grigorovich class frigates, which are advanced Talwar-class guided-missile frigates, was concluded. The construction process is held under the technology transfer model at Goa Shipyard. The IGA (inter-governmental agreement) between Russia and India was signed on 15th October 2016. According to the statement of the Indian Defence Ministry, the government concluded a deal with Goa Shipyard Ltd, in accordance with IGA, for the construction of two ships designed to meet the Indian Navy’s specific requirements. The delivery of the first is scheduled in June 2026 and the second – December the same year. The contract for the two locally-built frigates follows a $950 million contract that has been signed in October last year between Russia and India for the delivery of two ready-made frigates. These two Project 11356 warships, India will purchase directly from Russia. So far, the Indian Navy has already completed construction of all the infrastructures necessary to support these ships through their life cycle. The Ministry of Defence specifies that the advanced features of the stealth include low electromagnetic, infrared and underwater noise signatures and a special hull design that limits radar cross-section. The ship will be equipped with highly improved and advanced weapon systems and sensors. The frigates are designed to perform missions covering the entire spectrum of naval warfare; air, surface and sub-surface. They would be equipped to operate in littoral and blue waters, as a single unit and consorts to a naval task force as well. 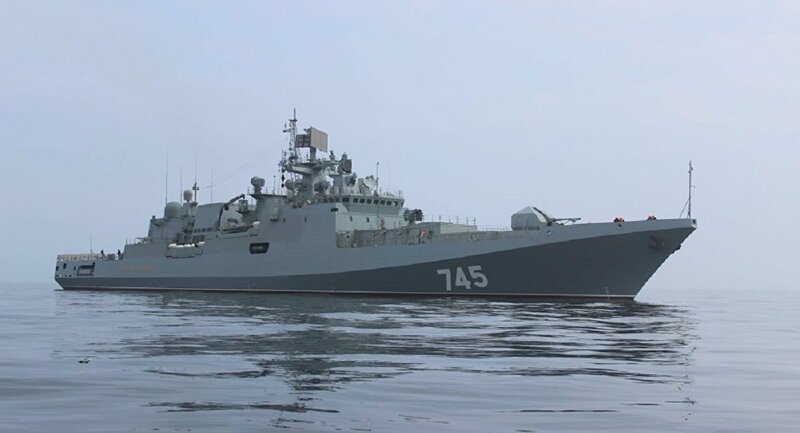 The two frigates built with a partial transfer of technology from Russia would make these warships the largest fleet of vessels in a class that shows domestically-produced equipment including the BrahMos missile system, sonar system, and combat management system.